The standard model station shirt and pants is a set of high quality, custom fit station wear that helps to keep your comfortable and safe all year long. Custom Fit: Made to measure and order, custom sized to individual. Quality Construction: Made in Canada with extra stitching and reinforcements. Fabric Options: Choose from navy and black in which fabric you prefer. 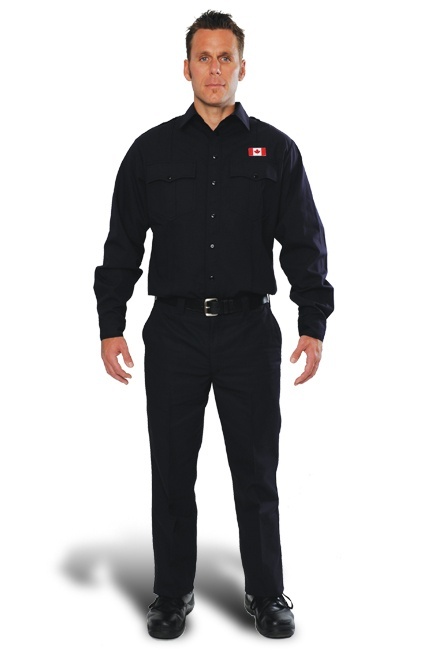 Fabric Choice: Can be made from several fabrics, including Nomex, Firewear and poly/cotton. Color Choice: Available in navy or black.